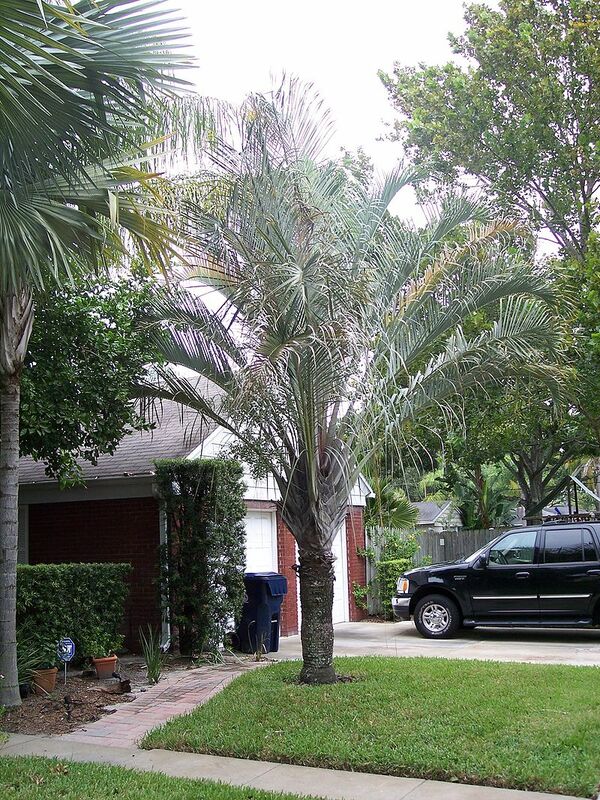 Dypsis decaryi is a palm tree commonly known as the Triangle palm. It is indigenous to the Madagascan rainforest. Some specimens grow to a height of some 15 metres in the wild. It is relatively new to cultivation however, so outside its native habitat it rarely achieves anything like that height. The leaves are about 2.5 metres in length, growing almost upright from the trunk and arching gracefully outward about a metre from their tips. The leaf bases are arranged in three vertical columns set about 120 degrees apart on the main stem, forming a triangular shape in cross section. 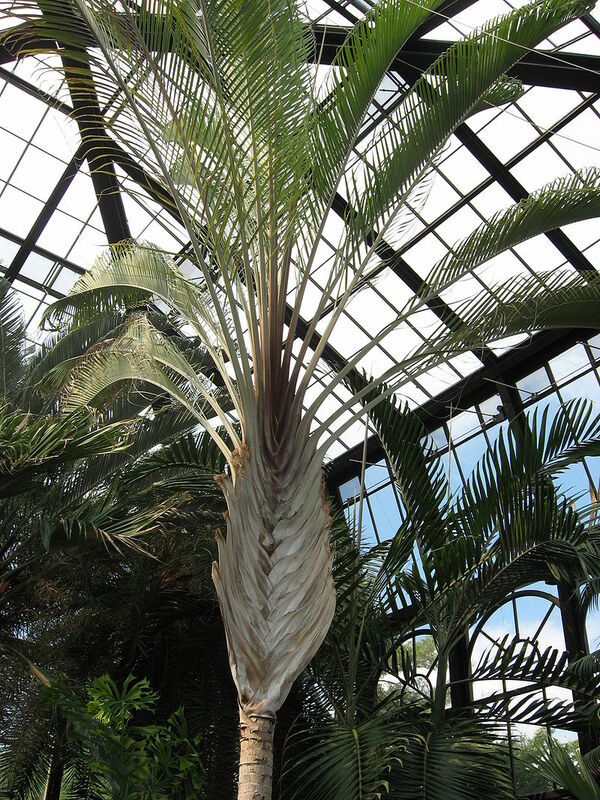 This shape has given rise to the palm’s common name. The inflorescences branch out from the axils of the lower leaves. They produce yellow and green flowers that later produce round black fruit about 25 mm (1in) in diameter. 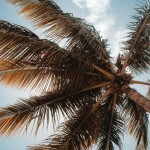 The palm is a fine ornamental plant and is most valuable as a specimen tree or accent plant when grown out in the open to display show its remarkable shape to best advantage. In suitable climates it blooms all year. What with its colourful flowers and fruit and shapely habit, it is unusually showy for a palm. It prefers full sun and regular watering, although it is not vulnerable to occasional dryness and partial shade. Over-watering and poor drainage are far greater hazards than drought. For example the palm is best suited to sandy soil and it tends to do poorly in clayey soil or in rainy climates such as in Hawaii. 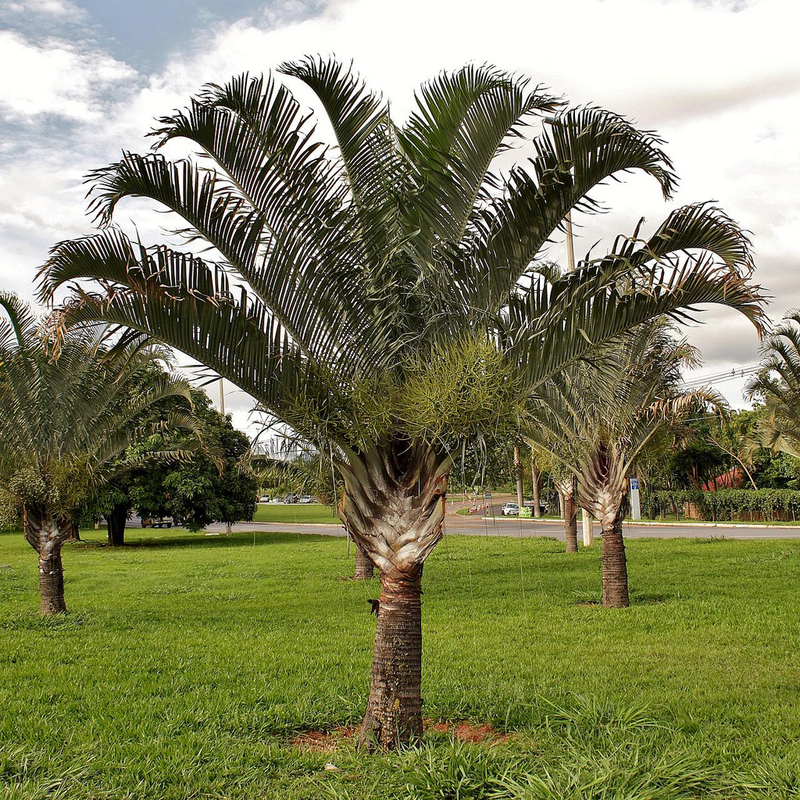 Dypsis decaryi does not transplant well, so it is a bad choice for commercial field growing. However, it is a fast grower once established, and its seed normally germinates within a month of being planted, so propagation by seed is a good option. Although the fruit are not much valued, they are known to be of high nutritional value and may be eaten by children and livestock. Please contact West Coast Trees for information and availability on Dypsis decaryi.